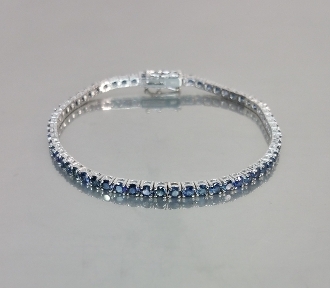 This blue sapphire bracelet is set in solid 14 karat white gold. Total blue sapphire weight is 6.04ct. The bracelet is 3mm wide.